When I first moved to this house with the forest in the backyard, I was sitting at the kitchen desk just a few steps away from the back deck, when I heard a very loud and clear knock on the sliding glass door to the deck. I was spooked! 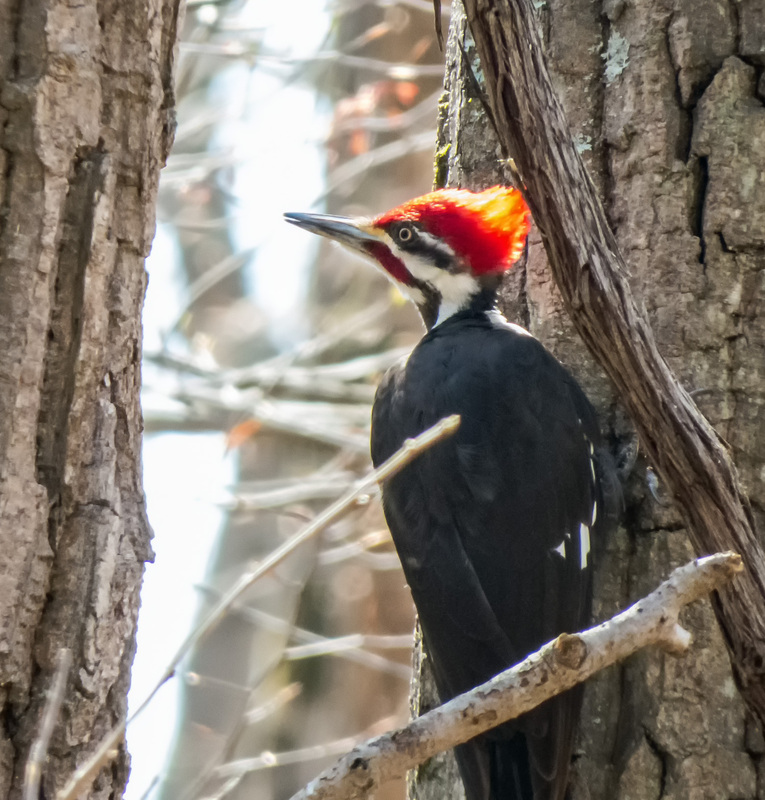 I turned around hesitantly to see who might be there, and a pileated woodpecker was sitting on the door handle looking in the room at me! I had never seen one before. We were both completely surprised. That may be the closest I’ll ever be to one of those big birds. That is definitely a cool encounter. 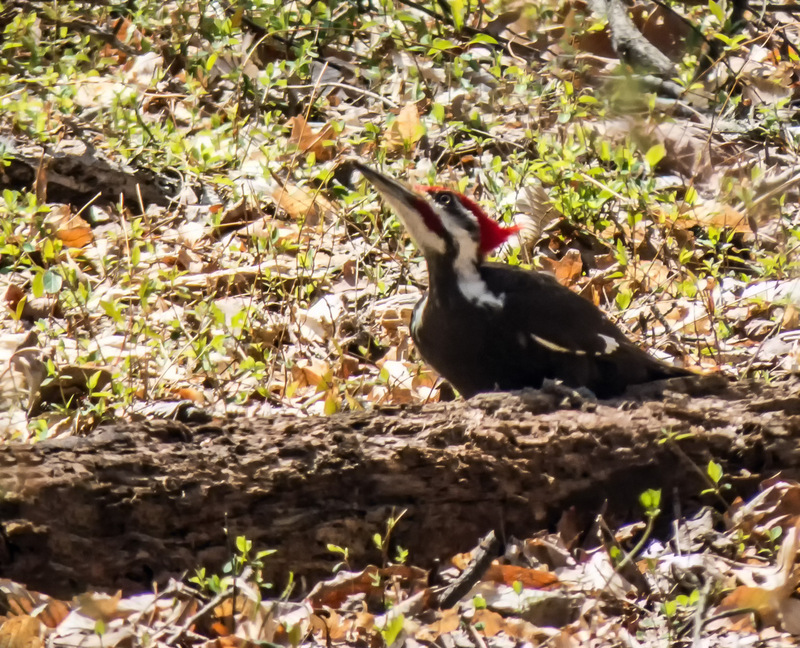 I don’t see Pileated Woodpeckers that often, but when I hear what sounds like a jackhammer at work, I can tell that one of them is around. Wow, that’s an amazing backlit shot, Mike. I’ve never seen PWs on the ground either. The most unusual I’ve seen was one eating winterberries. When they start pecking it is amazing what they can do. …and how much noise they can make. Sometimes the pecking sounds like a jackhammer.